Let’s pretend that money is no object. Let’s pretend that money is no object. 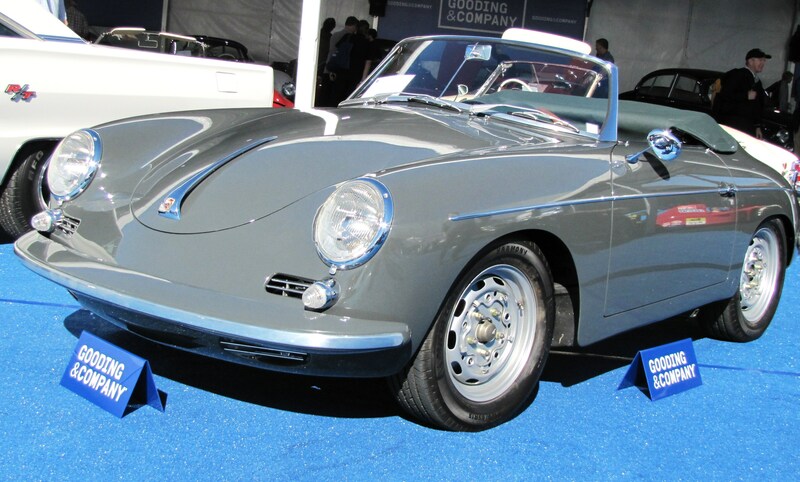 That’s what I did as I strolled around Gooding & Company’s upscale auction in Scottsdale picking out my favorite classic cars, the ones I’d like to take home. I didn’t worry about being able to afford them, just whether they caught my eye. And boy did they ever. I had to work hard to hone this fantasy-car list down to a reasonable size because the candy-store aspect of Gooding’s auction preview had me picking out everything in sight. Porsches were a huge draw, especially since there are no fewer than 20 of them on site, ranging from an ultra-exotic 1988 959 Sport to a rather tatty but very desirable 1958 356 Speedster coupe that’s begging to be turned into a showpiece. I chose just two for this list. There are also a few so-called “barn find” cars, the rough and ratty remains of incredible sports cars from Aston Martin, Maserati, Alfa-Romeo and Shelby. For whatever reason, such classics coming out of long-term neglectful storage have soared in value in recent years, and have become unabashedly common at auctions. Look below to see which one made my list. There are plenty of 300 SLs around here this week. Gooding has four of them, three roadsters and a gullwing coupe, but this is the one that gets me because of its European headlights and four-wheel disc brakes. But those whitewalls have got to go. Estimated value is right up there at $1.75 million to $2.25 million. Arguably the most-exotic sports car of its era, the all-wheel-drive 959 was originally designed to battle the dunes of North Africa in the Paris-Dakar Rally. They are powered by a twin-turbo, 540-horsepower flat-6 engine, and they look fantastic with that extreme back-end treatment. All that for $1.5 million to $2 million. OK, so I’m a sucker for a 356. Here we have the holy grail of late-model 356s, powered by the legendary four-cam flat-four engine that produced 152 horsepower, which doesn’t sound like much until you consider that the car weighs basically nothing. I want it, even if it is valued at $550,000-$650,000. This is the “barn find” I was talking about, the one I picked out from that distressed group. It’s a highly original small-block Cobra that was put up on jacks in a barn, where it remained for 40 years. It looks pretty awful, but it’s all there and very deserving of a sympathetic restoration that will cost plenty, and it’s already valued by Gooding at more than a million dollars. This is a prime piece of Arizona motorsports history, reputedly the safety-crew van used at the Beeline Dragway during the ’70s in the heyday of drag racing. The truck is festooned with painted-on lettering and “moon eyes” up front. Inexpensive, but what a collector’s item for a drag-racing fan. Here’s an all-time favorite, the split-window Corvette coupe sold for just one year then changed to full rear glass for ’64. Equipped with a 327 cid, 340-horsepower L76 V8 and four-speed manual transmission, which has to be fun, even if you can’t see what’s behind you. Gooding says it’s worth $180,000 to $200,000. 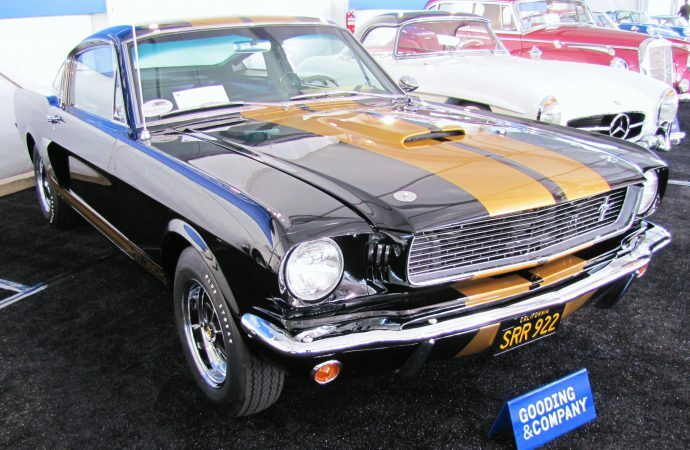 It’s hard to believe nowadays that Hertz actually rented out Shelby GT350 coupes to its customers. 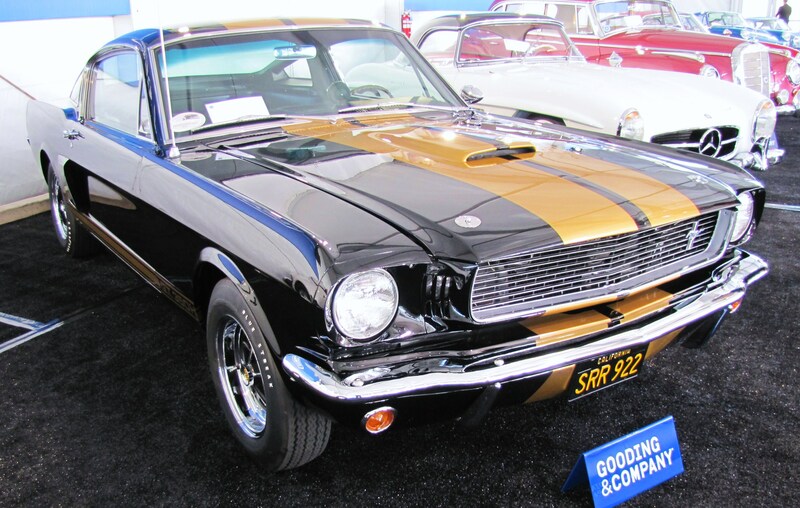 The cars were painted this distinctive black with gold striping and designated GT350H. You’d think that rental-car provenance would ding the value, but beautiful, restored survivors such as this one are highly sought after. The estimated value is $140,000 to $160,000. Gooding actually has consigned two 1961 E-Type roadsters, which are early production models of what Enzo Ferrari called “The most beautiful car ever made.” Lot 123 is the one I love, mainly because of its luscious blue paint job. The value is estimated at $275,000 to $350,000.